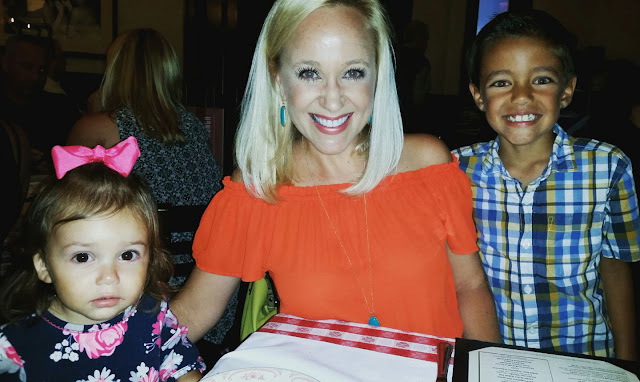 Heidi Wanders the World: Friday Favorites! For several years now, my husband has worked from home on Fridays. Even though he spends a good part of the day wrapped up on conference calls up in his man room, there is something so nice about having him here for the day. During the school year it means I usually sleep in a bit longer than usual and he does breakfast and gets our oldest out the door for drop off while I drink coffee ALONE. Seriously one of my favorite pastimes. 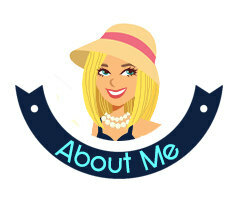 Speaking of FAVORITES, I have several to share this week! Just a few days after booking the Tuscany trip on Travelzoo (mentioned in my previous post you can read here), I saw THIS $499 deal for Paris! 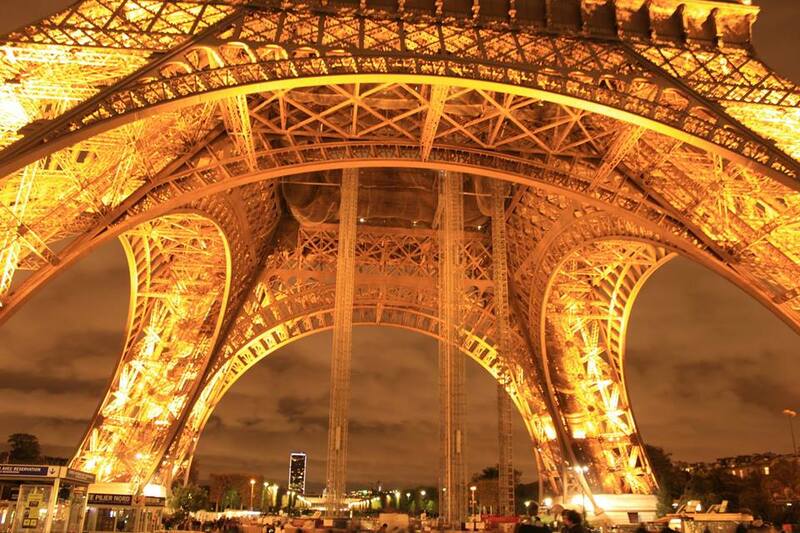 It's only 4 nights, but it includes airfare from many major cities and lodging in the picturesque Montmartre area! If Paris isn't on your travel wishlist, I'd still encourage you to check out the deals on Travelzoo. They change frequently, and there are many bargains to be had! It's definitely a FAVORITE! 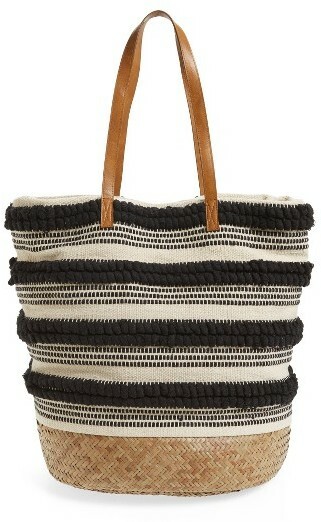 I've been on the hunt for a summer handbag for ages. Seriously. I just couldn't find anything I liked that was the right size/price. I found THIS bag when I was browsing online, and immediately fell in love. The little pom poms. The navy/white combo. The rattan bottom! And, it is only $79! It's the perfect size to take on vacation because I can fit all my essentials + diapers + DSLR camera! A new FAVORITE! Another favorite this week was making THIS recipe for dinner! Zoodles are my new thing. I've been trying to eat a little more clean around here. At least, following the 70/30 rule. I love my caramel flavored almond milk in my coffee. I love oakey Chardonnays. And, a little gnocchi never killed anyone. Okay, maybe I'm more like 60/40 on the clean eating. But feeling healthier is still a FAVORITE! This time of year, I love a little color on my face. A little shimmer or sparkle to hide the fact that I've probably been awake with my almost two-year old that is always a)teething b)struggling with being the perfect temperature or c) just wanting hugs. 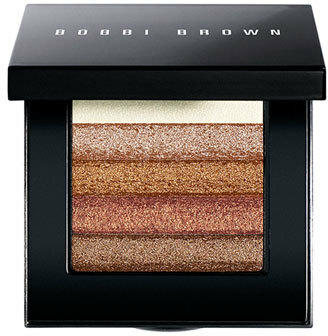 I love the fresh, radiant look of the Bobbi Brown Shimmer Bricks! I got the bronze brick because I think it can be used to provide the perfect amount of blusher/highlighter/bronzer all in one! Now, the price tag isn't something to sneeze at, I realize. But it is such a high density product with so much dimension, you truly just need one swipe! It should last forever! 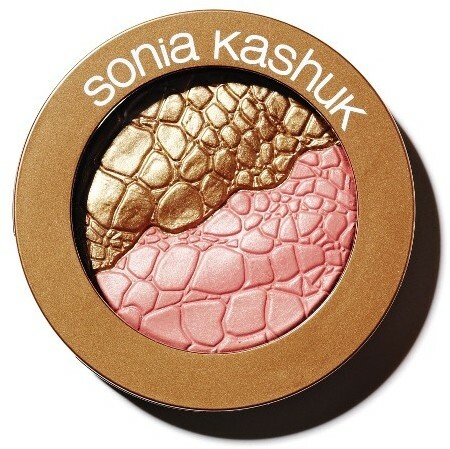 And if you're not a fan of Bobbi Brown (or the price), I've also loved using this Sonia Kashuk blush/bronzer from Target! (That orange off-the-shoulder dress is my new summer fave. I wore it out to dinner at Maggiano's which was a perfect decision because it stretches in all the right places. Yesterday I popped into Nordstrom and two gals asked where I got it...$29 at my favorite: Target!). I'm also obsessed with tassels lately! They are definitely a FAVORITE! From tassel earrings to tassel necklaces, I cannot get enough. I'm wearing this turquoise tassel necklace above with that orange dress. It's the look of Kendra Scott, but for only $11.98, on sale right now at Nordstrom! I'm going to try and make this entire weekend full of FAVORITES, since Monday is my birthday! If you live in SoCal, you should visit the Greek Festival at St. Paul's Greek Orthodox Church in Irvine! 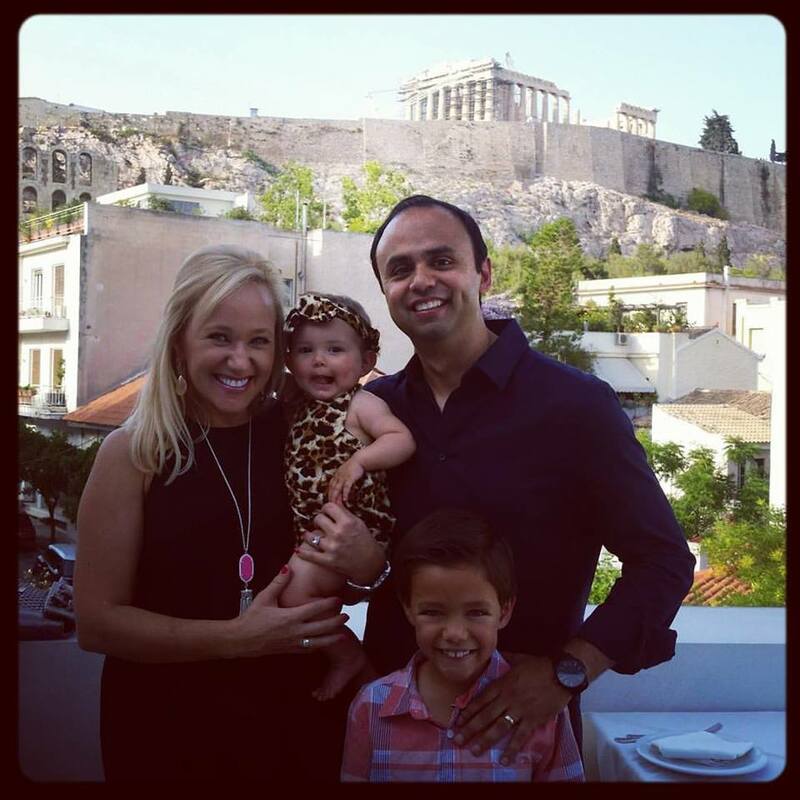 For as many years as I can remember, I've attended a Greek Festival annually! While my family isn't Greek, most of them are Orthodox Christians and often celebrate alongside the Greeks. 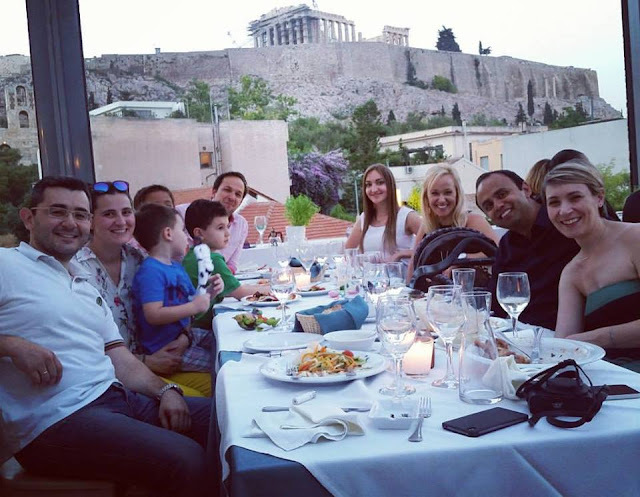 One of my best friends in the world is Greek, and my family all recently traveled there on vacation. So needless to say, #allthingsgreek is a FAVORITE! I LOVE your style recommendations! Keep them coming! And hApPy BiRtHdAy!! !